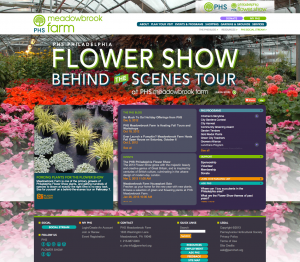 PHS, Meadowbrook Farm, and Flower Show! Oh, My! 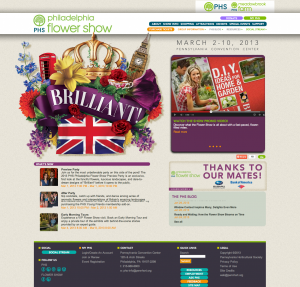 LevLane Relaunches PHS multi-brand sites. The LevLane team worked with PHS to create three beautiful and robust sites, dedicated to providing information on Gardening, Greening, and Learning. Check out the new Social Stream. It’s way cool. This is just another step in our quest to bring our clients social assets closer to their web home. 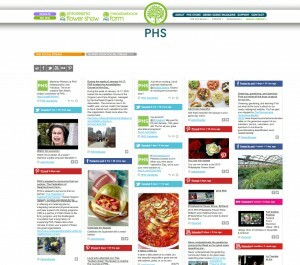 PHS has totally done away with a traditional Press Room and replaced it with a pure social media stream, pulled from their blog, Facebook, Twitter, Pinterest, YouTube and Flickr feeds. Stay tuned, we feel this may be a growing trend. Hats off the Digital Team. https://www.levlane.com/wp-content/uploads/2015/11/levlane-logo-12001.png 0 0 Drake Newkirk https://www.levlane.com/wp-content/uploads/2015/11/levlane-logo-12001.png Drake Newkirk2013-02-08 12:54:072013-02-08 12:54:07PHS, Meadowbrook Farm, and Flower Show! Oh, My!